We have joined TheGivingMachine which will allow you to generate cash donations for the school without it costing you a penny. There are nearly 6,000 schools & charities taking part in this scheme, with the successful schools raising £1,000’s every year at no extra cost to parents/carers or staff! 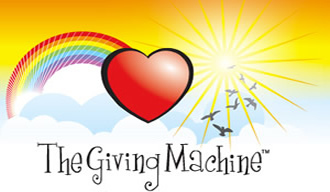 TheGivingMachine is a not for profit social enterprise whose sole aim is to raise money for UK schools and charities. Shopping online via TheGivingMachine at your favourite shops will generate a free cash donation with every single purchase. With stores like Amazon, Ebay, M&S, NEXT, Tesco, Sainsbury and John Lewis taking part with hundreds more, you are bound to find what you want from your favourite shops at TheGivingMachine. Please join our new giving community by visiting www.TheGivingMachine.co.uk and join to support our school, they only require your name, e-mail address and a password for you to become a Giver. It really is as simple as that. Please ensure you don’t miss this opportunity to give while you are shopping and help spread the word to raise as much as we can from this amazing scheme. Your help will make a difference to our school. Basically, every time you buy from your favourite shops via the website, you’ll be raising free cash donations. You’ll save money too, with lots of special offers, promotions and discounts. SHOP via TheGivingMachine.co.uk at any of the 400+ top online shops who have teamed up with TheGivingMachine™. Take advantage of the many exclusive special offers and discounts available to all Givers. Every time you shop via TheGivingMachine™, the shop pays TheGivingMachine™ a sales commission. We convert 75% of this commission into a donation to the charities and schools of your choice. Remember! When you are buying Christmas presents online, make sure that you generate a free cash donation to the school with every purchase viawww.TheGivingMachine.co.uk. There are over 600 of the most popular stores taking part in the scheme making it so easy for you to make difference without it costing you a penny more than the normal purchase price of your item.